Affirmational Jewelry Sale! Show Mom love her with an affirmation necklace from Belle Chic now down to $26.99 from $44— with free shipping + In time for Mother’s Day! Perfect gift for graduation too! Each necklace will come with a large charm that dangles and symbolize the script wrote out. Your Affirmation necklace will include a standard 18″ cable link chain as well. Each day at BelleChic brings a variety of product types, from elegant handmade jewelry to luxurious handcrafted bath and body products.Most sales start at 8am PT / 11am ET and last 48 hours. Belle Chic has savings of up to 75% off off handmade items. Head to Belle Chic to purchase your perfect affirmation necklace for you special someone. With this sale I would consider giving these as a gift! 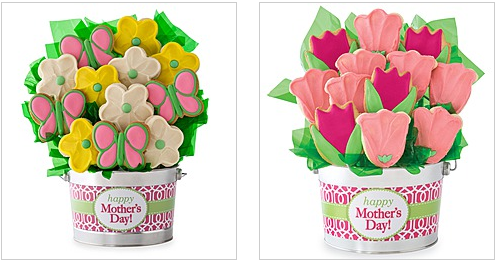 Head to Cherly’s to select your perfect Cookie Bouquet! We have a great Mother’s Day gift idea! Get this Sterling Silver “A Mother Holds Her Child’s Hand For A Short While and Their Hearts Forever” Mother’s Day Heart Necklace, 18″ for just $19.99! Originally $30. Shipping is free with Amazon Prime or on orders over $35. This deal also comes with free returns. Celebrate the special bond between a mother and child with this sentimental heart-shaped pendant. This ribbon loop heart pendant is inscribed with a message that celebrates the enduring nature of a mother’s love. The pendant is threaded on an included 18-inch box chain. Choose from sterling silver or 14k gold plating. Get more Amazon Deals at Frugal Coupon Living! Find out how you can try Amazon Prime for FREE! 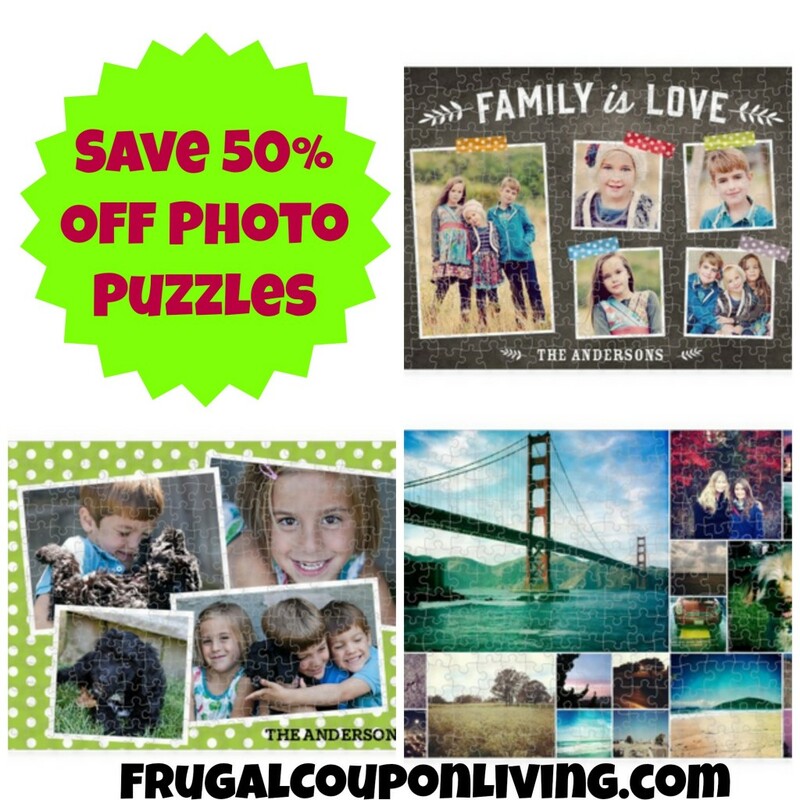 Shutterfly latest deal will land you a 50% savings off personalized photo puzzle! Such a fun idea, cute gift, and very easy to create! Create your special loved one a gift with meaning with this deal. Get a matching photo box that stores your 60-piece or 252-piece puzzle too – LOVE that it is completed with a box! Just like the puzzle from Walking Dead ! From the show Talking Dead, I heard the producer had the a custom photo puzzle and a box in the episode where the girls Carol was caring for (the sisters die). The puzzle at the table was one of Sophia in her Rainbow tee! To grab this deal just be sure to shop through 4/23/2014 and be sure to use the coupon code SHIP30 when checking out for free shipping on orders of $30 or more! Mother’s Day Cards Sale $2 – Reminder: Mother’s Day is May 11! Get mom the custom photo card for Mother’s Day from Cardstore! Grab 40% off Mother’s Day cards at Cardstore.com. To grab 40% off just be sure to use coupon code WTJ40 at check out through 4/20 . Head to Cardstore.com and grab your moms day card for only $2! Get these beautiful Pearl Earrings for only $9.99! Originally $69. This deal also comes with FREE shipping! These would make a perfect gift for Mother’s Day! Looking for classic pearl earrings with a modern twist? Then look no further! These 12mm shell pearl earrings set in sterling silver are a perfect hybrid where the timeless styles of yesterday meet the innovative trends of today. Get a Sterling Silver Heart Necklace for only $14.99! Originally $129. Get FREE shipping with this deal! This would make a great Mother’s Day gift! Let that special someone know she’ll be in your heart forever with this 1/8 carat three stone Sapphire pendant. The total gem weight of this pendant is 1/8 carat. The pendant contains three round brilliant Sapphire stones. Comes with complementary 18 inch silver chain. This is an absolutely adorable gift idea for Mother’s Day! Get a Mama Nest Necklace with Swarovski pearls for only $21.99! Originally $35. This deal also comes with FREE shipping! Since becoming a mama myself, I’ve fallen in love with these whimsy little mama bird inspired pieces. Just like a nest found in nature, no two of our nests will be alike. Some are wrapped tightly, some are organic with a bit of whimsy. No matter what, each nest is wire-wrapped by hand using only the finest Swarovski pearls & fine silver wire. Your nest necklace will hang from an 18″ stainless steel chain and we hope you love this design as much as we do! Your necklace will include swarovski ‘egg’ pearls and will include up to 5 eggs at NO additional charge!